SPEARFISH, S.D. 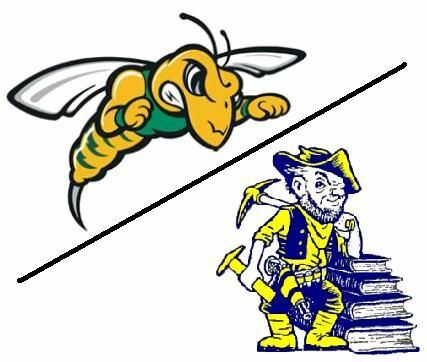 – Dez Stoudamire and Fraser Malcolm each surpassed 20 points, as the Black Hills State University men's basketball team took down Colorado State University-Pueblo, 94-79, on Saturday evening. Malcolm had 27 points and eight rebounds to lead the Yellow Jackets (9-8, 8-5 RMAC). Stoudamire had 24 points, making seven three-pointers. He also added eight boards, six assists, and three steals. This was the first game this season, and first since February 17, 2018, against Colorado Mesa, that two Yellow Jackets eclipsed 20 points in the same game. Desnica added 13 points for his sixth game in double-figures this season. Freshman Sava Dukic recorded nine points and six boards. Meanwhile, Unable to complete a comeback, the Yellow Jackets fell to CSU-Pueblo, 68-58, Saturday evening to conclude January competition. Morgan Ham led Black Hills State (11-6, 7-6 RMAC) with 15 points, while Racquel Wientjes followed with 11, and Julia Seamans had 10. Katie Messler brought down six boards and had seven assists to lead the Green and Gold. After an impressive win the previous night, the South Dakota School of Mines men's basketball team put forth a great effort and took another game down to wire Saturday evening against the Rocky Mountain Athletic Conference's No. 3 ranked New Mexico Highlands Cowboys at the King Center in Rapid City, South Dakota. Trailing by three points, 73-70, and with 3.9 seconds remaining in regulation, the Hardrockers were able to get one final shot off to beat the buzzer, but the ball missed it's mark as the Cowboys escaped with the win. Despite the loss, basketball fans were treated to a very good back-and-forth competitive contest that saw 15 lead changes and the score tied on five different occasions. Meanwhile, The South Dakota School of Mines women's basketball team put together a complete game Saturday night en rout to a thumping of New Mexico Highlands, 73-35, during a Rocky Mountain Athletic Conference win at the King Center in Rapid City, South Dakota. The 'Rockers led wire-to-wire in their 38-point win -- the team's largest margin of victory this season.